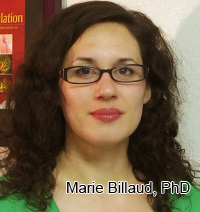 Regenerative Medicine Today welcomes Dr. Marie Billaud. Dr. Billaud is a Research Assistant Professor in the Department of Cardiothoracic Surgery, University of Pittsburgh School of Medicine, and in the Thoracic Aortic Disease Research Lab of the McGowan Institute. Dr. Billaud discusses her research on thoracic aortic disease. For more information about Dr. Billaud, click here.